“At about 35,000 B.C. a group of African Mongoloids; later known to us as the Jomon, took this route and entered Japan, they became the first Humans to inhabit the Japanese Islands. Later, another group; Known to us as the Ainu, followed. Why is this being kept a secret from the world? Because we are under a different time where people don’t want other to know how powerful African people are.But that time is coming to a end. What secret? 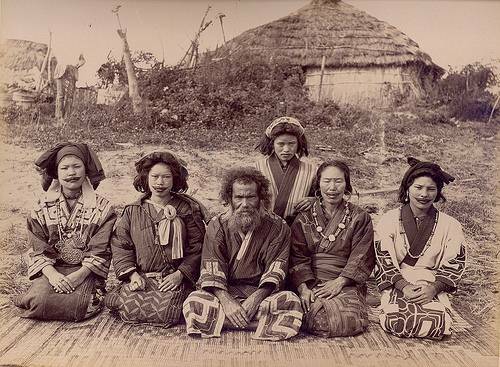 It is known the Ainu were inhabitants of the islands known as Japan. That they were discriminated against, yes. Indeed that is known. 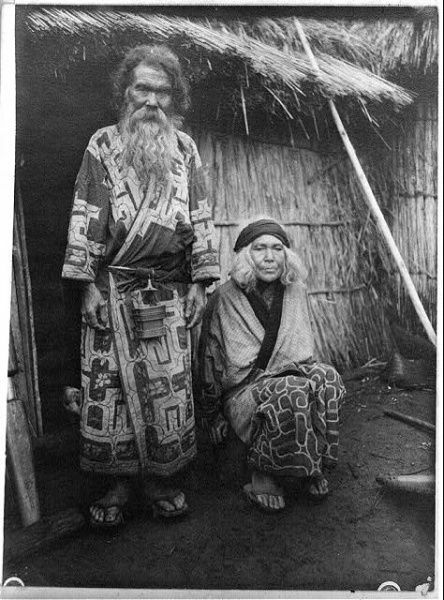 That modern Japanese claim they are the original inhabitants, no, they know that Ainu were up north before. That they are “Black” or “African”. No. That is because they are not necessarily such. You would do better to go to an official Ainu website in Japan and see what the Ainu today have to say about themselves and their ancestors. Their linguistics are also unique also. While most humans came out of the continent named Africa, that doesn’t make everyone in the world with brown or darker skin, or wiry hair “African” or “Black”. To insist that all cultures and all peoples are “Black” is as disingenuous as the “white washing” that Caucasoids are accused of. Go directly to the Ainu to see what they say. big difference of black and of african. and can change pretty dramaticly in a matter of a few generation… due to environmental and dietary changes…. in fact science today tells us most likely “white” did not exist on earth before 12,000 years ago… and occured mostly with the introduction of wheat into the diet…. and lose of melanin of the cave dwelling neanderthal… as they interbred with humans. every human … is african. this is no longer up for debate…. the first left africa 60,000 years ago. there were two other species that no longer exist…. well they were african too and left africa about 300,000 years ago. Good point. But to be seriously taken, you must explain what is it to be African, European, of Black or of white. Especially since you have mentioned India. Are there varieties of humans? And if so, are there various hues of Blacks and whites? Also, what makes a person white? And if the person is not white, are they automatically Black? No they are dark cause the abundance of melanin in their skin and only people of African descent are known for their melanated skin. It is clear that the earliest “known” humans emerged out of Africa several millions years ago. These original people traveled throughout the world over hundreds of thousands or even millions of years via land bridges and by sea. Oceania (the Pacific islands) was traversed and populated by Africans in this way. They were the original Asiatics.